This is a funky pink flower power Bow Tie! 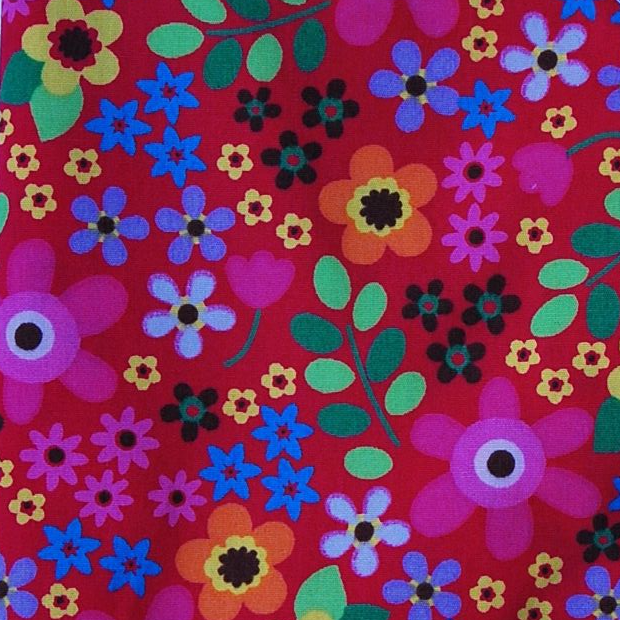 The background is a lovely bright, deep pink, with a beautiful print of multi-coloured fun flowers! It's a very pretty Bow Tie, and is suitable for any occasion. This Bow Tie will brighten up the dullest day! 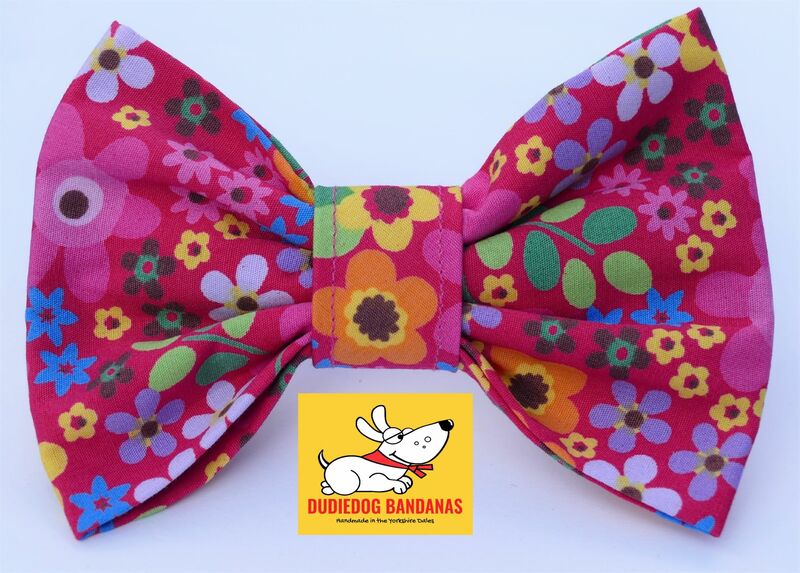 It's perfect for Dudiedogs who like to stand out in the crowd.